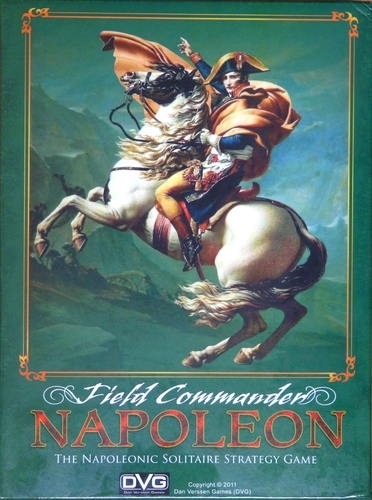 Welcome to Field Commander: Napoleon, the third in our series of Field Commander games. The goal in designing this game system was to make the careers of some of history’s great commanders accessible in an easy to learn, fast playing game format. We decided on solitaire, because it had the proper feel. Commanders have staff and advisors, but in the end, they alone make the hard decisions that affect lives, change the course of campaigns, and decide the fate of nations. In this game, you make all the decisions needed to command your Forces. The game rules, charts, and die rolls dictate the actions of the opposing forces.